End a great season on a high note with this Girls Home Run T-Ball Trophy! A silver and gold figure with an antique finish stands poised on a baseball after making a full contact swing. Add your personalized engraving to this wonderful trophy FREE! 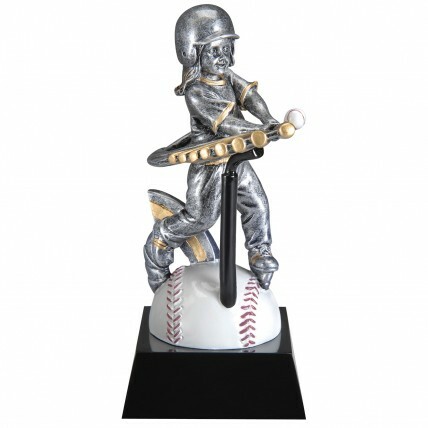 Make this season one to remember with this fun T-ball award! Production time for this product is 2 business day(s); expected pickup or shipping date is 04-23-2019.